The field saturated hydraulic conductivity (Kfs) or permeability of in situ soil and constructed fill materials can be quickly and easily measured “in-place” using the ETC Pask Constant Head Permeameter. The ETC Constant Head Permeameter is a much faster and more accurate method of assessing the hydraulic capacity of a soil than the outdated, and often very time consuming, percolation test. Check this blog article for a detailed 20 point comparison of the ETC Pask Permeameter to the Guelph Permeameter. The ETC Pask Permeameter works with almost any soil type from loams and sands to clays, even built-up beds of imported septic fill or compacted clay liners for lagoons and landfills. 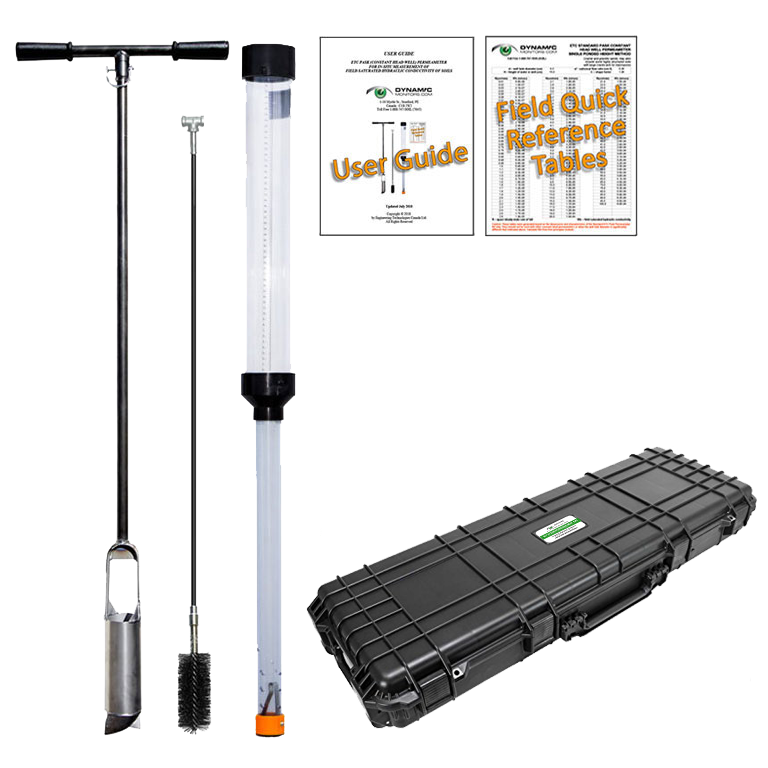 Our permeameter is based on the peer-reviewed, Constant Head Well Permeameter method, described by Reynolds and Elrick, formerly of the University of Guelph, Canada.